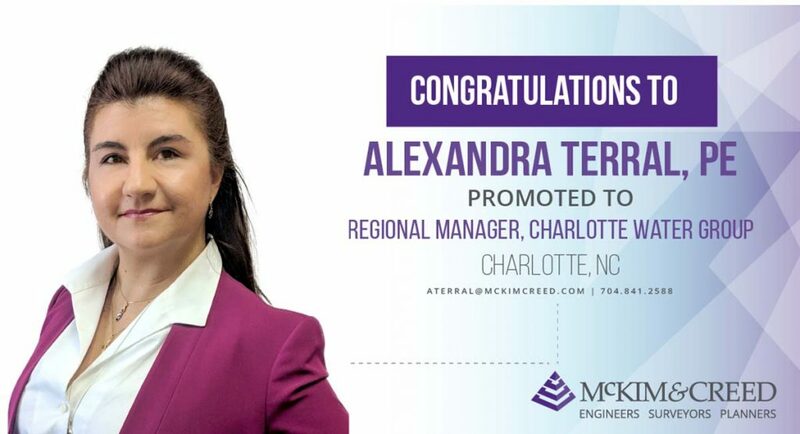 Alexandra Terral, PE, a senior project manager with McKim & Creed who has 22 years’ experience in water and wastewater engineering, has been promoted to regional manager of water services in Charlotte. In her new role with McKim & Creed, Alexandra will lead a staff of engineers and manage municipal water infrastructure projects in and around the Charlotte area. During her career, Alexandra has built a solid reputation of providing effective engineering solutions to municipal water and wastewater infrastructure challenges. Her skills and experience include conceptual planning, master planning, hydraulic modeling, designing, bidding, construction and permitting. “Alexandra is an effective leader, communicator and manager with a strong technical background in water, wastewater and utility infrastructure projects. 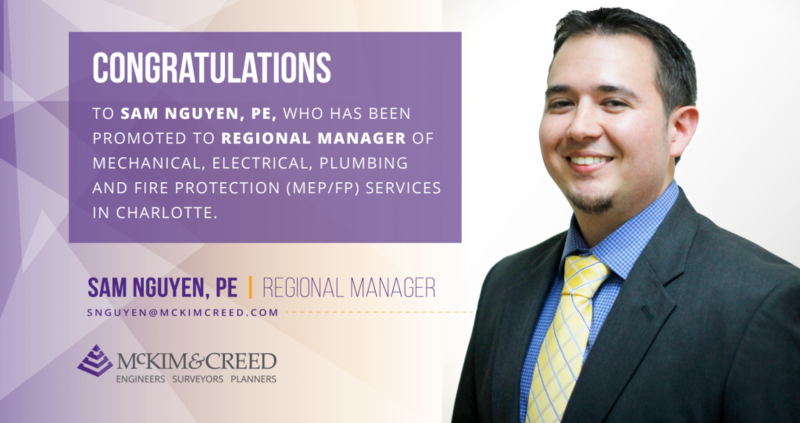 She will be an outstanding regional manager,” said Bryan Blake, PE, who oversees McKim & Creed’s water and wastewater engineering services in North Carolina. 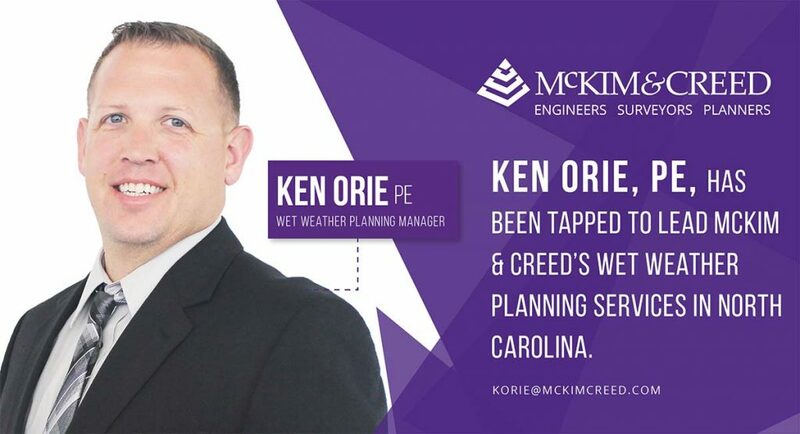 “I am proud to work with McKim & Creed’s team of talented engineers here in Charlotte. We are innovative and passionate about what we do, which is how we have built a reputation for engineering excellence among the water utilities in this region,” said Alexandra. She is a graduate of the University of Washington with a degree in civil engineering. She is a member of the American Water Works Association (AWWA) and the Water Environment Federation (WEF). 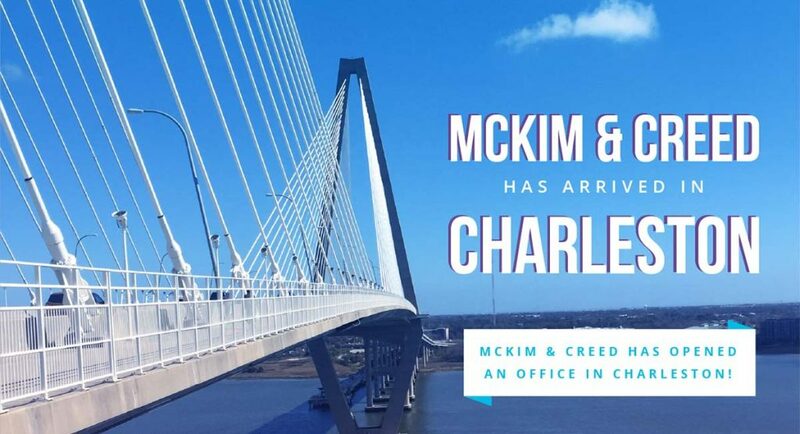 McKim & Creed has been established in Charlotte for more than 20 years and currently employs 60 local professionals in this regional office. Notable local projects for which McKim & Creed has provided services include the $50-million McAlpine Creek Relief Sewer and the Ramah Creek Interceptor project, both for Charlotte Water; Southeastern Catawba County Master Plan; UNC-Charlotte’s health and wellness facility, and Carolina Healthcare System’s medical office and healthplex in Waxhaw.